Reliable trucks are the backbone of collecting large food donations from food processors, grocery distributors and wholesalers, and farmers. Last year they helped to gather and distribute 2.85 million pounds of food valued at $7.41 million dollars. Last year’s acquisition of a new large, refrigerated truck gave us greater capacity. When the new truck was unveiled, it proudly wore our new logo, pictures of fresh produce from our warehouse and the names of organizations that donated to acquire our new truck. 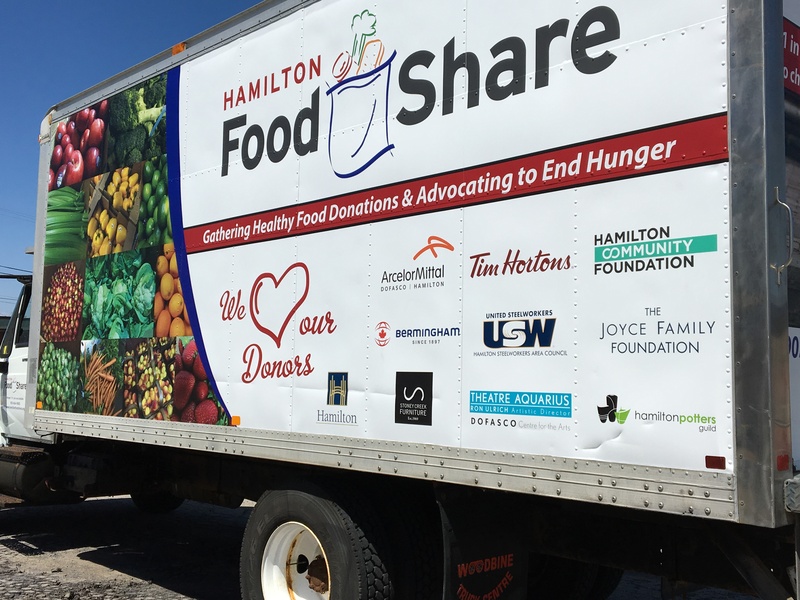 Now, our second largest truck has been transformed with a new-to-us box and similar pictures of fresh fruit and vegetables from our warehouse, as well as the names of longstanding community partners who do so much to help ensure local families get enough to eat. The 24 foot workhorse, acquired in 2012, also proudly proclaims We Love Our Donors. 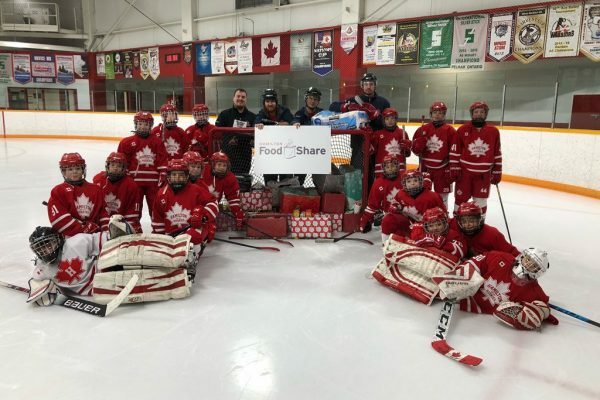 Over half of the food received by Hamilton Food Share is fresh or frozen. With 2 large refrigerated trucks on the road we can get more of the healthier food options to people facing hunger. 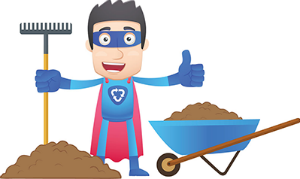 If you see one of our trucks on the road being driven by one of our highly trained drivers, they are on the way to or on the way from picking up food for our neighbours. 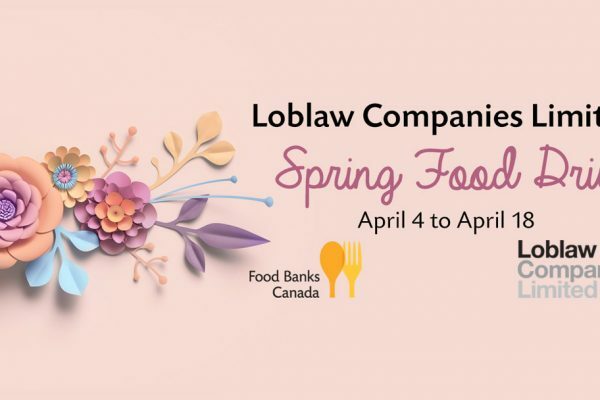 If you are aware of any large food donation opportunities, please contact Mona, our Warehouse Manager at 905-664-9065. More details are on our Food Industry Donation page.